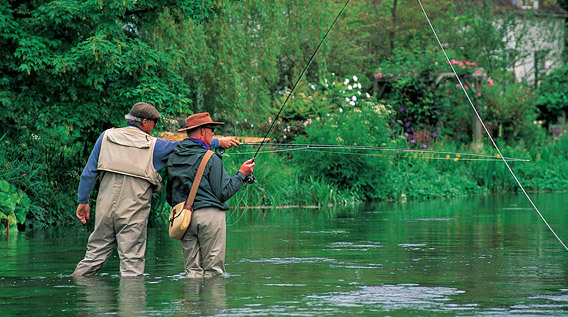 We offer one-to-one or group fly fishing lessons and courses with qualified instruction. We also teach advanced casts and other presentation techniques needed to outwit the most educated brown trout. You can learn more about trout behaviour in a single day on a chalk stream than you might in a year on another river. Nowhere else do you get the opportunity to stalk brown trout of such size and quality in such shallow, clear water. If you are interested in entomology and fly tying, we can catch the natural nymphs and insects from the river, identify them, explain their life cycles and importance and even tie the appropriate imitation right there on the river bank.